Long-term Vipassana meditators sat in meditation vs. a control rest (mind-wandering) state for 21 min in a counterbalanced design with spontaneous EEG recorded. Meditation state dynamics were measured with spectral decomposition of the last 6 min of the eyes-closed silent meditation compared to control state. Meditation was associated with a decrease in frontal delta (1–4 Hz) power, especially pronounced in those participants not reporting drowsiness during meditation. Relative increase in frontal theta (4–8 Hz) power was observed during meditation, as well as significantly increased parieto-occipital gamma (35–45 Hz) power, but no other state effects were found for the theta (4–8 Hz), alpha (8–12 Hz), or beta (12–25 Hz) bands. Alpha power was sensitive to condition order, and more experienced meditators exhibited no tendency toward enhanced alpha during meditation relative to the control task. All participants tended to exhibit decreased alpha in association with reported drowsiness. Cross-experimental session occipital gamma power was the greatest in meditators with a daily practice of 10+ years, and the meditation-related gamma power increase was similarly the strongest in such advanced practitioners. The findings suggest that long-term Vipassana meditation contributes to increased occipital gamma power related to long-term meditational expertise and enhanced sensory awareness. The term meditation refers a set of diverse and specific methods of distinct attentional engagement, and recent reports have begun to focus specifically on state and trait measures of the same. Although the general effects of meditation on neuroelectric brain measures are still being characterized, consensus has emerged that coherence and/or power for lower frequency spontaneous electroencephalographic (EEG) activity is enhanced as both a trait and a state effect in many forms of meditative practice (Cahn and Polich 2006). Early studies of meditators implicated alpha (8–12 Hz) power increases as both a state and trait effect of Yogic, Zen, and Transcendental Meditation practice (Anand et al. 1961a; Kasamatsu and Hirai 1966; Kasamatsu et al. 1957; Wallace 1970; Wenger and Bagchi 1961). Later studies have failed to replicate the early findings of increased alpha in advanced practitioners but have reported increased alpha coherence, especially in assays of TM practitioners (Gaylord et al. 1989; Travis 1991; Travis and Pearson 1999; Travis et al. 2002), theta (4–8 Hz) power, especially in the assays of concentrative/focused attention practitioners (Aftanas and Golocheikine 2001; Baijal and Srinivasan 2009; Hebert and Lehmann 1977; Pan et al. 1994), or gamma effects (Lehmann et al. 2001; Lutz et al. 2004). Recent reports using LORETA to analyze EEG from Zen (Faber et al. 2008) and Qi-Gong (Tei et al. 2009) meditators further suggest that meditation may be associated with trait increased frontal delta activity, possibly indexing baseline relative inhibition of cognitive engagement and greater detachment from ongoing daily experience. Gamma findings have been reported as either distinguishing between various meditative states in an advanced practitioner (Lehmann et al. 2001), or as a state and trait marker for meditation in advanced Tibetan Buddhist practitioners engaging in compassion meditation (Lutz et al. 2004). One likely contributing factor to the inconsistency across studies is the lack of standardization with respect to meditative style, assessment methodology, and consideration of state effects for beginning vs. short- vs. long-term meditators (Cahn and Polich 2006). Toward this end, the present study was designed to provide fundamental information using EEG measures during meditation compared to control state effects in long-term Vipassana meditators. Vipassana meditation is a Buddhist practice that involves focusing on present-moment sensory awareness with an equanimous and non-reactive mental set (Gunaratana 2002; Hart 1987). This tradition has served as the foundation for contemporary “mindfulness” meditation techniques such as the widely practiced mindfulness-based stress reduction (MBSR) currently used for clinical interventions (Davidson 2003; Grossman et al. 2004; Kabat-Zinn 1982, 2003). Development of greater awareness of and concomitant non-reactivity to interoceptive and exteroceptive sensory stimuli during formal Vipassana/mindfulness meditation is hypothesized to enhance self-awareness such that selective adaptive responding is facilitated at the expense of automated non-adaptive reactions, thereby promoting more successful management of stressful life situations (Hart 1987; Kabat-Zinn 2003; Lutz et al. 2007; Segal et al. 2002). Vipassana practitioners of the Theravadan Vipassana tradition were assayed in the present study, and the majority had been taught in the tradition of Goenka (Hart 1987). This practice emphasizes attentional absorption in subtle somatosensory awareness and associated open monitoring without mental or emotional reactivity to such sensory experience. The specific Vipassana meditative technique involves attentional scanning of sensations throughout the body in an iterative and cyclic fashion, scanning body sensations from the top of the head to the toes and back again repeatedly, with the concomitant adoption of an attitude of detached observation and non-reactivity to any sensations and thoughts that may arise. Systematic evaluation of meditation state in comparison with non-meditative thought conditions requires control cognitive tasks, and this condition was implemented with the instruction to let the mind wander freely through non-emotional thoughts and memories. This state was also chosen to mimic the aspects of the mind-wandering “default mode” state thought to have high ecological validity to a common mode of cognitive engagement in normal everyday life (Christoff et al. 2009; Smallwood and Schooler 2006). Given that Vipassana meditation practice is thought to enhance the awareness of internal and external stimuli while reducing automated reactivity, it was hypothesized that increased frontal theta and alpha would be observed during meditation—i.e., reflecting increased purposeful attentional engagement and mental quiescence. Based on the view that Vipassana practice may promote an enhancement of sensory awareness through increased attentional engagement, we hypothesized that increased gamma activity would also be observed in meditation relative to the control condition, possibly in bilateral centroparietal and/or frontal areas, related to enhanced processing in frontal and somatosensory cortices. Recording conditions were designed to capture the time period when the meditation state was deep and stable and therefore most likely to contrast with the control state. A total of N = 16 Vipassana meditators (F = 5, M = 11) were assessed (M = 45.5, SD = 9.8, 24–56 years). As a group, these individuals had been meditating for a considerable period of time (M = 20.0, SD = 12.1, 2.5–40 years), and all had been meditating daily (7 days/week) for at least 1 year (M = 13.0, SD = 10.7, 1–30 years), with at least 0.5+ h or more each day (M = 1.3, SD = 0.7, 0.5–3 h). Participants were recruited from a local Vipassana meditation community through word of mouth and e-mail and compensated $40 for the 3-h study. EEG data were collected using a 19-channel ECI electrode cap from the following locations: Fp1, Fp2, F3, F4, F7, F8, Fz, C3, C4, T7, T8, Cz, P3, P4, P7, P8, Pz, O1, and O2. These scalp locations were referenced to linked earlobes, with the ground at the forehead. Eye-movement (EOG) activity was assessed with electrodes placed at the outer canthi and above/below the left eye in line with the pupil for horizontal and vertical EOG monitoring using bipolar reference. Impedances were kept below 10 kΩ. The signals were recorded with a band pass of 0.01–70 Hz (6 dB octave/slope) and digitization rate of 256 Hz. The participants were instructed to sit on cushions and meditate within the Theravadan Vipassana meditation tradition or engage in the control neutral thinking state, with the order of the tasks counterbalanced across individuals. Participants were instructed to sit in the same posture for both the meditation and control task periods of recording and were fitted with headphones at the outset of the recording session that they wore throughout the recording. Pilot testing indicated that some participants found it difficult to refrain from engaging in their meditative practice when sitting in the meditative posture with eyes-closed. Participants were therefore told to think about emotionally neutral past events if they noticed themselves slipping into meditative practice state, otherwise to let their mind wander freely through non-emotional neutral thoughts. This control cognitive engagement was chosen to emulate a “mind-wandering” state with high ecological validity that can be contrasted with the purposeful attentional engagement of the meditation state (Christoff et al. 2009; Smallwood and Schooler 2006). Participants were informed that after 21 min of eyes-closed meditation or control thinking they would hear a series of tones over the headphones and that they were to simply continue their meditation or control cognitive engagement. Both passive and active presentations of simple tone stimuli were collected, with those data reported elsewhere (Cahn and Polich 2009). At the conclusion of the first recording period, the participants were given the opportunity to stand and stretch before taking the same posture and seating position for the second recording of equal length. Immediately after each of the two recordings participants completed a short form indicating whether they experienced drowsiness or sleep onset during the experimental recording session and rating the depth of meditative experience on a 1–10 scale, with 1 indicating the normal waking and 10 indicating the deepest meditative absorption ever experienced. We focused the present analysis on the last 6 min of data from the 21 min recording period so as to assess the meditative state achieved after allowing an adequate period of time for the participants to fully absorb themselves into the meditation state. Given that the spontaneous brain rhythms generated during prolonged periods of eyes-closed rest tend to fluctuate and vary with factors such as reduced arousal and drowsiness, we did not average across the whole 21 min epoch. Future planned analysis will focus on the temporal evolution of brain dynamics in the meditation vs. control state so as to assess the onset vs. maintenance of meditation state effects and the relative stability of the spectral power dynamics across the two states. The last 6 min of EEG data from each of the two 21 min recording periods were first visually inspected, and transient muscle- and movement-related artifacts were removed. The data were subsequently high-pass filtered at 0.5 Hz using FIR filter (Rabiner and Gold 1975). The extended ICA algorithm was then run on the data using the runica algorithm implemented within EEGLAB running on Matlab (Delorme and Makeig 2004; Delorme et al. 2007). The resultant independent components accounting for horizontal and vertical eye movements were then marked and removed from the data (Jung et al. 2000a, b) as detailed in the next section. After removal of eye-movement-related artifact, data were segmented into non-overlapping 2-s artifact-free epochs. For the meditation and control states, means of 170.4 ± 13.8 and 164.1 ± 26.6 epochs were obtained. The Thomson multi-taper spectrum estimator (Matlab PMTM functions using time-bandwidth product of 4 and FFT length of 512) was applied to the cleaned continuous data for spectral decomposition (Thomson 1982). The output power values in μV2 were then log-transformed to dB units using 10 × log10 (μV2) formula to normalize the power value distributions. Statistical analyses of the spectral power data were first applied to signals from all scalp channels using the bootstrap method (Wilcox 2005) and using false discovery rate (FDR) correction for multiple comparisons (Benjamini and Yekutieli 2001). Statistical assessments were conducted using analyses of variance with the factors of state (meditation vs. control) and electrode in the a priori regions of interest (midline electrodes for all frequencies, occipital electrodes for alpha). ANOVAs also were conducted on the frontal electrodes (F3 and F4) for delta and the occipital electrodes (O1 and O2) for gamma activity, as these were regions of statistical significance between states identified by the initial bootstrap statistical testing using FDR correction for the scalp data (see Fig. 2). Greenhouse-Geisser corrections were applied to the degree of freedom (df) to correct for violations of the sphericity assumption, and Tukey post hoc means comparisons were used to decompose reliable interactions. Covariate ANOVAs were conducted using subject variables related to the order of engaging in meditation and control states, relative meditative expertise, and self-reports of drowsiness and meditative depth during experimental conditions. Bootstrap statistics and scalp map plotting were performed using the EEGLAB Matlab software (Delorme and Makeig 2004; Delorme et al. 2007) and custom Matlab scripts. Parametric statistics were run using the Statistica software and EEGLAB (Delorme and Makeig 2004; Delorme et al. 2007). The use of bootstrap statistics was employed as it allows for more robust statistical inference than standard parametric statistics since no assumption is made about the probability distribution at the population level (Wilcox 2005). However, studying complex patterns of covariate interaction is not yet available using bootstrap procedures in common statistical software, so that parametric statistics were employed. In addition to the statistical assessments, a parallel analysis using independent component analysis (ICA) of three classes of independent components from each subject was conducted: (1) eye-movement artifact, (2) temporal muscle artifact, and (3) occipital alpha power. For each subject, vertical eye-movement-related components were selected based on their characteristic scalp projection and a smooth exponentially decreasing spectrum (Delorme et al. 2007; Jung et al. 2000a). This approach was employed by identifying the EOG artifacts by simultaneously examining the eye channels (VEOG and HEOG) for activity to verify that the components were active only during those time periods when eye channels indicated eye movement. Muscle components produce component topographies with focal activities over specific channels, typically located temporally (T7 and T8), with a characteristic spectral signature containing strong spectral power over 20–30 Hz and an erratic spectrum (Jung et al. 2000a). Alpha occipital components were based on the 8–12 Hz frequency peak in the occipital areas, which was also associated with an additional peak at 20 Hz. These analyses are illustrated in the following paragraphs. The spectrum for the activity of these components was then computed on the independent components during both the meditation and the control periods with the same Thomson multi-taper spectrum estimator used on the channel data (Thomson 1982). Traditional t-tests were computed with bootstrap statistics with FDR correction for multiple comparisons, which were conducted between the power outcomes in the meditation vs. control states for each of the three classes of independent components at all frequencies (including gamma). This approach helped to assess whether eye or muscle gamma activity was greater in meditation state and whether the occipital alpha independent components replicated the occipital scalp channel gamma effect. The “depth of meditative state” from the (1–10) self-report scale indicated that the mean meditative depth experienced during the rest state was 1.7 ± 1.4, and meditative depth experience during the meditative state was 4.5 ± 1.4 (t-test, df = 15, P = 0.00004). Drowsiness was reported by 7 of the 16 participants during the meditation and 10 of the 16 during the control thought condition. There was no reliable correlation between the self-reported depth of meditative state and either the number of years of daily practice (r = 0.24, P = 0.36) or the number of hours of daily practice (r = −0.02, P = 0.93). A reliable correlation was obtained between the order of experimental session and the self-reported experience of drowsiness during the control state wherein those individuals meditating first were less likely to experience drowsiness during the control state (r = 0.52, P = 0.041). No similar correlation was obtained between session order and drowsiness during meditation (r = 0.38, P = 0.15) (see also Cahn and Polich 2009). A negative correlation between the number of years of daily practice and reported drowsiness during the control state (r = −0.60, P = 0.015) was found, but not between number of years of daily practice and reported drowsiness during meditation (r = −0.006, P = 0.98). These findings imply that individuals with more years of daily meditation practices were less likely to report drowsiness specifically during the control cognitive condition. A negative correlation between current number of hours of daily practice reported and drowsiness during meditative state also was obtained (r = −0.59, P = 0.016). No association was observed for the control state drowsiness and number of hours of daily practice (r = 0.02, P = 0.93), implying that greater current number of hours of current daily practice predicted decreased drowsiness specifically during meditation. Figure 1 illustrates the mean amplitude spectral data averaged across meditation and control thought states with grand average scalp maps for each of the major bands represented for delta (1–4 Hz), theta (4–8 Hz), alpha (8–12 Hz), beta (12–25 Hz), and gamma (35–45 Hz). Preliminary analyses across all electrodes using bootstrap statistics and FDR correction for multiple comparisons indicated significant meditation state effects for delta and gamma log spectral power, but no such effects for theta, alpha, and beta power. Scalp maps for the two states are thus only shown separately for delta and gamma bands, and Fig. 2 shows the spectral power grand average scalp maps for meditation and control states separately at both frequencies. Also indicated is a scalp map of the statistical significance for the comparison between the log spectral power at each electrode across the two states (all red electrode locations indicate significance at P < 0.05 via bootstrap with FDR correction). Delta decreases were in bilateral frontal regions, and gamma increases were in parieto-occipital areas only (see Fig. 2). Delta (1–4 Hz). As mentioned above, bootstrap analysis with FDR corrections for multiple comparisons analysis of the sensor data indicated decreased delta power during meditation relative to control period at bilateral frontal electrodes (F3, F4, F7, F8, C3, and C4, all P < 0.05). Parametric repeated-measures ANOVA analysis of the data was carried out as well, indicating that delta power at midline electrodes yielded no state (F(1,15) = 1.84, P = 0.19), electrode (F(2,30) = 1.0, P = 0.37), or interaction (F(2,30) = 0.01, P = 0.99) effects, although somewhat greater delta power in control than meditation state was observed (P = 0.19). Frontal delta power at electrodes F3 and F4 was analyzed separately as delta activity at these electrodes was shown to be most significantly decreased in the bootstrap analysis of the scalp data. ANOVA analysis of the delta power at F3 and F4 demonstrated an effect for meditation state just missing the P = 0.05 cut-off (F(1,15) = 4.09, P = 0.06), with no effect for electrode (P = 0.97), and no interaction between electrode and state was observed (P = 0.67). Analyses of FP1, F7, FP2, and F8 produced the same pattern of findings. Theta (4–8 Hz). Bootstrap analysis with FDR correction for multiple comparisons indicated no main effect of state at any electrodes for theta power during meditation relative to control period. Parametric ANOVA assessment of theta power also yielded no significant effect of state, (F(1,15) = 0.037, P = 0.85) or electrode location (F(2,30) = 0.96, P = 0.39). A significant state x electrode interaction, F(2,30) = 7.75, P = 0.002, indicated with post hoc evaluation that theta power exhibited relative increase during meditation state at Fz (P = 0.006), but not at Cz (P = 0.99) or Pz (P = 0.85). Alpha (8–12 Hz). Bootstrap analysis with FDR correction for multiple comparisons indicated no main effect of state at any electrodes for alpha power during meditation relative to control period. Parametric ANOVA assessment of alpha power at midline electrodes likewise produced no meditation state effect (F(1,15) = 0.096, P = 0.76), although a main effect of electrode was found, F(2,30) = 18.8, P = 0.000005, confirming that alpha was the greatest at more posterior sites as expected. No interaction between state and electrode was obtained (F(2,30) = 1.1, P = 0.34). Post hoc testing confirmed that alpha power was greater at Pz than Fz (P = 0.0001) and Cz (P = 0.004), and greater at Cz than Fz (P = 0.04). A separate ANOVA analysis of alpha power at occipital sites (O1 and O2) was conducted to assess alpha power at the area of maximal power. No state (F(1,15) = 0.055, P = 0.82), electrode (F(2,30) = 1.5, P = 0.24), or interaction was found (F(2,30) = 0.55, P = 0.47). Additional separate analyses of low (8–10 Hz) and high (10–12 Hz) alpha indicated the same pattern of findings. Beta (12–25 Hz). Bootstrap analysis with FDR correction for multiple comparisons indicated no main effect of state for beta power during meditation relative to control period. Analysis of beta power at the midline electrodes indicated no state (F(1,15) = 0.62, P = 0.44) or interaction (F(2,30) = 1.4, P = 0.26) effects, but a main effect of electrode was found, F(2,30) = 4.33, P = 0.02, indicating that beta power was greater at more posterior sites. Post hoc assessment found beta power at Pz was greater than at Fz (P = 0.03), but not significantly different from Cz (P = 0.92); beta power at Cz was trend-level greater than at Fz (P = 0.07). Additional separate analyses of low (12–15 Hz), medium (15–18), and high (18–25 Hz) beta indicated the same pattern of findings and are not presented separately. Gamma (35–45 Hz). Bootstrap analysis with FDR correction for multiple comparisons indicated a main effect of state with increased gamma power during meditation relative to control period at P7 and P8 (both P < 0.05), as well as O1 and O2 (both P < 0.01). Parametric ANOVA analysis of the gamma power at midline electrodes demonstrated no state (F(1,15) = 1.26, P = 0.28), electrode (F(2,30) = 2.22, P = 0.14), or interaction (F(2,30) = 1.35, P = 0.27) effects. Additional analysis of gamma power was conducted specifically at occipital electrodes (O1, O2) because of the greater gamma power found at this location in the bootstrap/FDR analysis. Analysis of occipital gamma power at O1 and O2 yielded a significant state effect, F(1,15) = 9.32, P = 0.008, but no electrode (F(2,30) = 2.02, P = 0.18) or interaction (F(2,30) = 0.59, P = 0.45) effects. Additional analyses including P7 and P8 in the ANOVA indicated the same pattern of findings, but as the effect was the greatest at O1 and O2, only these data are presented. Figures 3, 4, 5 illustrate the grand average scalp maps of the independent components of the three EOG classes or clusters: Fig. 3 illustrates those accounting for vertical and horizontal eye movements. Figure 4 illustrates those associated with the left and right temporalis muscle activity. Figure 5 illustrates the occipital alpha cluster of components. Each subject yielded one to two eye-movement-related components and one to two occipital alpha components for a total of 23 components for both the alpha and eye-movement clusters. Additionally, one to six muscle components were identified per subject for a total of 37 components in the muscle cluster. Bootstrap statistics with FDR correction across frequencies 1–55 indicated that no difference in spectral frequency power was present between states for either the eye- or the muscle-independent component clusters (see Figs. 3 and 4). A statistically significant increase in gamma (>25 Hz) power was found in the occipital alpha independent components (see Fig. 5, gray area at bottom indicates the area of statistical significance comparing between states). Analysis of the specific 35–45 Hz frequency gamma band activity for each independent component (IC) class comparing meditation to control state activity indicated that independent components due to muscle (t-test, df = 15, P = 0.55) and eye (t-test, df = 15, P = 0.83) demonstrated no difference between meditation and control states. Occipital alpha IC gamma activity was significantly greater in meditation relative to control state using bootstrap statistic with FDR correction for multiple comparisons (bootstrap, df = 15, P = 0.0075), but only marginally different between states using parametric statistics (t-test, df = 15, P = 0.07), in any case mirroring the significant difference observed in gamma power at the occipital scalp electrodes. Analysis was applied to the delta power for the eye-movement ICs as this activity reflects typical slow eye movements. Less eye-movement activity was found for the meditation compared to control state, with a marginal parametric difference obtained (t(1,15) = 3.05, P = 0.10), and a significant non-parametric (Wilcoxon sign test) outcome obtained (P = 0.006). Correlations were calculated to explore the relationships between both the eye-movement-related IC delta power (eye) and scalp-recorded delta power as well as between gamma power (muscle, eye) and scalp-recorded gamma power, so as to assess possible non-cortical sources for the observed state effects of meditation. Specifically, correlations were computed between the gamma power in the eye- and muscle-independent components and the scalp-recorded gamma power across midline as well as occipital electrodes in each experimental state. To assess the possibility that slow eye-movement differences between meditation and control state might contribute to the occipital gamma findings, correlations between eye-movement independent component delta power and gamma power at scalp channels were also computed. As the increased delta activity observed at fronto-lateral locations might be related to eye-movement activity not fully removed from the data, additional correlations were run between delta power in the eye-movement independent components and delta power in the (post eye-movement independent component removal) midline and frontal channel data. There were no correlations between delta activity in the eye-movement IC’s and midline or frontolateral electrodes in either meditation or control states: meditation—Fz, r = 0.044, P = 0.87, Cz, r = 0.00, P = 1.00, Pz, r = 0.16, P = 0.56, F3, r = 0.22, P = 0.42, F4, r = 0.084, P = 0.76; control—Fz, r = −0.17, P = 0.52, Cz, r = −0.087, P = 0.75, at Pz, r = −0.051, P = 0.85, F3, r = 0.094, P = 0.73, F4, r = 0.016, P = 0.95. In contrast, significant correlations between gamma power in the muscle IC cluster and gamma power at midline electrodes were obtained for both state conditions: meditation—Fz, r = 0.61, P = 0.013, Cz, r = 0.60, P = 0.014, Pz, r = 0.47, P = 0.066; control—Fz, r = 0.55, P = 0.028, at Cz, r = 0.46, P = 0.073, at Pz, r = 0.32, P = 0.22. Significant correlations between gamma power in the eye-movement IC cluster and gamma power at midline electrodes were also obtained for the control condition with trends observed also at Fz in meditation: meditation—Fz, r = 0.50, P = 0.058, Cz, r = 0.41, P = 0.13, Pz, r = 0.081, P = 0.78; control—Fz, r = 0.82, P = 0.0001, Cz, r = 0.63, P = 0.012, Pz, r = 0.54, P = 0.039. Importantly, no correlations were found between gamma power at occipital electrodes and gamma power in the muscle IC cluster (meditation—O1, r = 0.11, P = 0.69, O2, r = 0.17, P = 0.53; control—O1, r = −0.061, P = 0.82, O2, r = −0.093, P = 0.73) or the eye-movement IC cluster (meditation—O1, r = −0.04, P = 0.89, O2, r = 0.014, P = 0.96; control—O1, r = 0.38, P = 0.17, O2, r = 0.19, P = 0.49). The correlations between the occipital alpha IC gamma activity and scalp-recorded gamma power were of moderate significance at midline electrodes: meditation—Fz, r = 0.42, P = 0.104; Cz, r = 0.38, P = 0.15; Pz, r = 0.47, P = 0.064; control—Fz, r = 0.50, P = 0.048; Cz, r = 0.60, P = 0.013; Pz, r = 0.70, P = 0.003. These correlations were, however, quite significant at occipital electrodes: (meditation—O1, r = 0.77, P = 0.0001, O2, r = 0.71, P = 0.002; control—O1, r = 0.79, P = 0.0001, O2, r = 0.75, P = 0.001. Additional analyses were conducted using covariates to characterize individual differences underlying the spectral power findings. The primary covariates were those relating to order of experimental conditions, reported drowsiness during the experimental sessions, and intensity of meditation practice (number of years of daily meditation practice, current number of hours/day of meditation practice). Significant interactions for some of these covariates were obtained for the delta, alpha, and gamma bands, with no reliable effects obtained for theta or beta power. A significant interaction among state, order of experimental sessions (meditation → control vs. control → meditation), and midline electrode location was found, F(2,28) = 4.70, P = 0.017). This outcome suggests decreased midline delta power during meditation relative to rest specifically for those participants doing the control period prior to the meditation period, but not those meditating first. Breakdown of this interaction with Tukey post hoc testing indicated that when the control period occurred first, midline delta power was decreased in the subsequent meditation session at Fz (P = 0.0004) and Cz (P = 0.027) but not Pz (P = 0.30). No differences among midline electrodes for delta power were found in participants meditating first (Fz, P = 1.0; Cz, P = 0.77; Pz P = 0.15). A second covariate interaction was found for the state × reported drowsiness × midline electrode location during meditation, F(2,28) = 3.39, P = 0.06), indicating that only those subjects not reporting drowsiness during meditation showed a tendency for decreased midline delta power in meditation. No significant outcomes were found for state effect at lateral-frontal locations. The interaction among order of experimental session x state effects x midline electrode location was significant, F(1,14) = 5.31, P = 0.037. For the occipital electrodes the order × state interaction was reliable, F(1,14) = 4.00, P = 0.065, with both such interactions indicative that whichever experimental period occurred second in the experimental order scheme tended to produce more alpha power (See Fig. 6a). The interaction among state x meditation daily practice was trend-level significant for the midline, F(1,14) = 3.89, P = 0.068, as well as occipital electrodes, F(1,14) = 3.99, P = 0.066. These outcomes suggested that more years of meditative practice tended to correlate with slight decreases in alpha power during meditation, whereas fewer meditation practice years correlated with trend increases in alpha power during meditation (See Fig. 6b). The state × drowsiness × electrode interaction was marginally significant, F(2,28) = 3.06, P = 0.071, such that participants reporting drowsiness during the control period tended to produce decreased alpha in the control relative to meditation period, with the opposite pattern obtained for those not reporting such drowsiness. The same but weaker interaction was observed for occipital alpha power (F(2,28) = 2.44, P = 0.14). A number of covariates produced significant findings for both the midline and occipital gamma power (reported drowsiness, number of hours of current daily meditation practice). Given the fact that the muscle IC cluster gamma power correlated with the gamma power at midline electrodes and that the same pattern of significant findings obtained with midline gamma covariate analysis obtained with muscle IC gamma covariate analysis, these associations are likely due to muscle rather than brain reactivity and are not reported. No reliable outcomes were obtained when the self-report score for meditative depth between meditation and control sessions was used as a covariate for gamma power. Categorization of participants into those with a history of 10+ years (n = 10, M = 19.3, SD = 8.6 years) and those with <10 years (n = 6, M = 2.5, SD = 1.4 years) of daily meditation practice yielded significant interactions for occipital gamma. The long-term meditator category yielded a significant main effect, F(1,14) = 4.87, P = 0.044, indicating that the sub-group reporting more years of daily meditation practice exhibited greater gamma power across task conditions (See Fig. 7a, b). In addition, an interaction among state × daily meditational practice length × electrode was found, F(1,14) = 4.53, P = 0.05. Specifically, gamma power was increased in meditation vs. control state in long-term meditators (O1, P = 0.0002; O2, P = 0.008) but only marginally in relatively short-term meditators (O1, P = 0.76; O2, P = 0.09). The level of drowsiness × state interaction was also reliable, F(1,14) = 5.41, P = 0.035. Gamma power increases were significant only for those participants not reporting drowsiness during rest (Tukey post hoc comparison P = 0.0069) and were absent for the group who did report drowsiness (Tukey post hoc comparison P = 0.57). In contrast, the self-reported drowsiness during meditation state did not show a significant interaction with gamma. Vipassana meditative practice involves the adoption of a mindful and receptive mental awareness, with attentional absorption on present-moment sensations in the body and meta-cognitive reframing of ongoing experience as impersonal phenomena to be observed but not reacted to (Gunaratana 2002; Hart 1987; Lutz et al. 2007). EEG measures were obtained from experienced Vipassana meditators with conditions that contrasted the meditative state with a control cognitive condition designed to mimic “everyday thinking.” The pattern of meditation-induced increase in parieto-occipital gamma activity, concomitant decrease in frontal delta power, and a shift to a more frontal distribution of theta activity suggests that sensory processing and cognitive processing were altered during meditation relative to the control state. However, the typically reported meditation state changes in the theta and alpha frequencies were not found (Cahn and Polich 2006). Delta (1–4 Hz) power is known to correspond with inhibitory functions (Babiloni et al. 2006; de Jongh et al. 2001; Niedermeyer and Lopes da Silva 1999; Penolazzi et al. 2008) and has been reported to be associated with meditation only recently, with a trait increase in frontal delta power reported for both Zen and Qi-Gong practitioners (Faber et al. 2008; Tei et al. 2009). Theta (4–8 Hz) power is known to correspond with meditation, although the cortical sources for these effects are still not fully understood. Frontal mid-line theta tends to be associated with concentrative attentional engagement, whereas less specific topographic theta distribution increases are observed in periods of drowsiness (Basar et al. 2001a, b; Mitchell et al. 2008). Alpha (8–12 Hz) power corresponds with cortical idling, cortical suppression, and relative deactivation of underlying brain areas (Niedermeyer 1997). Gamma (35–45 Hz) power is known to correspond with stimulus representation and feature binding, possibly coupling tightly with perceptual awareness (Fries et al. 2001, 2008) and selective attention (Fell et al. 2003). The relative impact of meditation on different frequencies of brain activity are still not well understood across meditative practices and is likely both practice-specific and related to differential effects early vs. late in the learning process. Important to the interpretation of the present relative to past findings is that previous assessments often have not obtained neuroelectric measures during meditation vs. cognitive control periods of equal length. Furthermore, a “resting” state is not likely the same for meditators compared to non-meditators, as meditators often report an inability for non-meditative resting. Indeed, in the present study, a number of participants reported difficulty in avoiding engagement in meditative practice with eyes-closed and the posture used during meditation even with the instructions to keep the mind engaged with neutral memories during the control period. Nonetheless, although a few participants reported approximately the same meditation depth in both periods, the consistent rating of a greater meditative depth in the meditation period than the control period likely reflects a different subjective experience of the two states. Further, both the neuroelectric measures and the introspective meditative depth differentiated between meditation and the control condition. Previous assessments of meditation have not often reported effects on the delta frequency band, but it is unclear whether it has been systematically analyzed. Recently, two reports of increased trait frontal delta in long-term Zen and Qi-Gong meditators suggest that there may be an important interaction between meditative practice and delta brain activity (Faber et al. 2008; Tei et al. 2009). Increased frontal delta in long-term meditators may indicate a functional inhibition of brain appraisal systems in line with a detachment from analysis, judgment, and expectation (Tei et al. 2009). In this study, decreased delta activity in the temporo-parietal junction, secondary motor cortex, and sensory association cortices appeared indicative of increased brain activation associated with detection and integration of internal and external sensory information, with detachment from the same as indexed by inhibited activity (increased delta) in prefrontal areas responsible for analyzing, judging, and expectation (Tei et al. 2009). The present study found a significant state effect in the delta frequency band, such that the meditation state was characterized by a decrease in bilateral frontal delta power, indicative of an increase in frontal activation during Vipassana meditation relative to the control condition. It is worth noting that this frontal delta decrease was significant in the bootstrap with FDR correction for multiple comparison statistical analysis of the scalp channel data at the frontal electrodes, but just missed statistical significance by standard parametric ANOVA testing (P = 0.06). It has been argued that bootstrap statistics may be of greater theoretical utility in application to relatively non-Gaussian measures such as EEG spectral power values (Darvas et al. 2004; Delorme 2006), suggesting that the significant finding here with bootstrap statistics is quite valid, but it should be noted that the parametric testing result was trend-level. It is important to note that the delta power in the eye-movement-related independent components during meditation relative to control states was also decreased reflecting less eye movement during meditation. However, the eye-movement-related delta power did not correspond with the scalp-recorded delta power, indicating that the eye-movement artifact rejection was effective and that the decrease in delta power measured at the frontal scalp electrodes was separate from meditation’s inhibitory effect on eye movements. One significant covariate in the analysis of midline delta activity was self-reported drowsiness during meditation, and this covariate showed a trend significance (P = 0.09) when used in the ANOVA analysis of lateral frontal delta as well. Those participants reporting drowsiness during meditation did not appreciably contribute to the decrease in frontal delta power seen during meditation, further suggesting that this delta power decrease is a marker of the more highly aware state seen in meditation relative to control state. It is possible that the delta power decrease we report here as a state effect may be correlated with the increase in baseline delta as a trait effect in previous reports, consistent with the notion that through sustained engagement of frontal circuits during meditative practice, practitioners may train other baseline frontal circuits associated with elaborative processing such as judging, analyzing, and expecting downward. These hypotheses are suggestive but provide important footholds for theoretical development of the relationship between meditation and EEG measures. No absolute difference in theta power between the meditation and control states was observed. A significant interaction between state and electrode location was found that suggested a more frontal distribution of theta activity was present during the meditation state. The implications of this outcome are uncertain but likely reflect the operation of enhanced attentional mechanisms mediated through anterior cingulate engagement (Cahn and Polich 2006). It is of note that a number of recent studies have found strong increases in frontal theta power during concentrative/focused attention meditation states (Aftanas and Golocheikine 2001, 2003; Baijal and Srinivasan 2009) and that frontal theta power is thus a key contributor to meditative neural dynamics that likely shows differential engagement dependent on the specific technique employed. Meditation and alpha power effects in the long-term Vipassana practitioners were absent comparing meditation and control states, which supports the assertion that alpha increases often reported in early studies of meditation were related to assessing beginning meditators vs. experts. While meditation state did not affect alpha power the order with which participants engaged in the meditation vs. control tasks was significant—i.e., whichever task was engaged later tended to have greater associated alpha power (see Fig. 6a). This interaction between order and alpha power was significant at midline electrodes and trend-level at occipital electrodes. A number of early studies on meditation utilizing a fixed-order design for the engagement in control task (often the non-specific instruction to “rest”) followed by meditation may have shown increases in alpha activity actually related to the passage of time within the study rather than anything specific regarding meditation. Nonetheless, given the large number of studies reporting alpha state and trait effects in the EEG literature, it is also possible that some forms of meditative practice may be more reliably associated with alpha state effects, and/or that there are alpha state effects toward the beginning of regular practice that dissipate with the development of expertise. Supporting this latter interpretation, occipital alpha power in this study was somewhat related to meditation expertise, as participants with 10+ years daily practice (n = 10, M = 19.3) tended to demonstrate more similar alpha power levels across states, whereas those subjects meditating <10 years of daily practice (n = 6, M = 2.5) tended to demonstrate enhanced alpha power during meditation (see Fig. 6b). Longitudinal studies assessing the impact of meditation over time in large samples are necessary to substantiate the hypothesis of increased state and trait alpha power resulting from meditative practices at different points in the learning process. The current findings support that meditative practice may enhance alpha power in the beginning stages of learning and that with expertise a trait-level increased alpha power may develop after which meditation state effect is no longer characterized by alpha enhancement (Cahn and Polich 2006). Direct support for this hypothesis also would require demonstrating higher trait alpha in the longer-term meditator participants, which was not observed in the present sample. An association between intensity of meditative practice and alpha power was obtained; however, as participants with +2 h daily practice demonstrated higher baseline alpha across states for the occipital alpha independent components. Further studies with greater numbers and multiple meditator cohort groups (multiple techniques and experience levels) are clearly needed to substantiate the alpha trait and state hypotheses. Gamma rhythms (30 Hz and above, often reported as centered around 40 Hz (Basar-Eroglu et al. 1996)) have been widely characterized as significantly related to momentary contents of consciousness (Sauve 1999). Further, electrical activity in this high frequency range has been shown to be a possible candidate for the neurophysiologic substrate of the “binding” of multiple aspects of conscious experience and perceptions into the coherent subjective state of moment-to-moment awareness (Singer 1993; Varela 1995). Evidence has accumulated supporting the notion that enhanced gamma synchrony and/or power in appropriate cortical areas is critically associated with both perceptual events (Gross et al. 2007; Lachaux et al. 2005; Meador et al. 2002; Rodriguez et al. 1999) and readiness to perceive periliminal and/or ambiguous stimuli (Melloni et al. 2007). While we hypothesized finding a meditation-related gamma power increase in frontal and/or parietal areas, reflecting increased functional processing in frontal and/or somatosensory cortices related to body sensation and/or executive control, instead we found increases in occipital areas. The increase in occipital gamma synchronization found in our current sample may indicate that this open-awareness meditative state involves a more sensitive and perceptually clear awareness of moment-to-moment experience. The reasons for an occipital distribution are certainly not clear but may be specific to the Vipassana meditative technique as previous reports have not found such gamma increases associated with other meditative techniques. Further, the fact that both baseline and meditation-related increases in occipital gamma power and were found to significantly covary with meditational expertise as indexed by total years of daily practice (see Fig. 7) suggests that there may be both a state and trait effect of increased gamma power associated with Vipassana practice. Clearly additional studies employing a non-meditator control group are needed to further substantiate this possible trait effect finding. Of possible relevance to the parieto-occipital increase in gamma power with respect to Vipassana meditation state, a recent report indicated increased gamma power in this approximate distribution during imagined actions (de Lange et al. 2008). Although Vipassana meditation practice does not invoke imagined actions, it does involve the repetitive scanning of body sensations from head to toes, which may recruit some surreptitious access to either imagined body action and/or visualization of body parts as the scanning occurs. Participants were not specifically asked to report on their visual experiences during the meditation and control sessions, but no one indicated a strong visual component on their free-form written summaries of the meditation state. This distribution of gamma power is therefore not readily explained via known properties of Vipassana practice, and it may be related to properties of widespread posterior gamma increases not currently understood. Finally, it is also noteworthy that these increases did not correlate with reported depth of meditation but did correlate with increased number of years of daily meditation practice and likely meditative expertise. Early gamma reports in meditation. Previous findings of widespread gamma increases in meditation are mostly limited to early studies prior to the development of sophisticated computerized methods for the quantitative EEG analysis and the separation of artifact from cortical signals (Anand et al. 1961b; Banquet 1973; Das and Gastaut 1957), although a few more recent meditation gamma findings have been reported as well (Aftanas and Golosheykin 2005; Lehmann et al. 2001; Lutz et al. 2004). Das and Gastaut first reported widespread increased high frequency (20–40 Hz) activity in association with meditation, reporting that after a long period of meditation some of the more advanced Yogis studied exhibited increased gamma states associated with periods of subjective deep meditation/samadhi (Das and Gastaut 1957). Anand et al. (Anand et al. 1961b) reported that “fast waves” were observed in the EEG recordings from a Yogi meditating in a box for a period of 2–3 days, but a separate comprehensive report on the EEG records from this case study participant and others with similar expertise did not mention this finding, instead noting the pronounced lack of alpha blocking exhibited while these participants were in meditation (Anand et al. 1961a). Banquet reported increased 20 and 40 Hz activity in a subset of TM practitioners who reported experiencing a deep meditative/transcendent subjective state during the EEG recording (Banquet 1973), replicating Das and Gastaut’s assertion that deep transcendent states of meditative consciousness may be marked by increases in gamma activity. Recent reports of gamma and meditation. In consideration of recent findings relating gamma to conscious experience and the early suggestive gamma findings summarized earlier, Ott (2001) specifically hypothesized gamma activations in deep meditation, possibly correlated with intensive wakefulness and all-encompassing unity. No such meditation state effects of gamma power were found, however, and instead the increases in gamma observed in some subjects were only those associated with movement artifacts. However, this study used only one electrode (Cz) so that this study can not be taken as a comprehensive gamma assessment. A case study of an advanced Tibetan Buddhist meditation teacher/practitioner indicated that gamma (35–44 Hz) was the most reliable frequency band distinguishing between different meditative states in this single individual (Lehmann et al. 2001). They specifically reported that relative occipital increases in gamma were observed in a meditation focused on visualization of the Buddha relative to other meditative states not incorporating visualization. Another recent study of meditation and gamma activity indicated that long-term meditators relative to controls exhibited decreased negative emotional stimulus-induced gamma power activation, likely related to decreased emotional reactivity due to such practice (Aftanas and Golosheykin 2005). The one recent previous report of widespread increases in gamma power assessed expert Tibetan Buddhist meditators engaged in a loving-kindness/compassion meditative practice and found both trait and state associations between meditation and gamma activity (Lutz et al. 2004). Midline frontoparietal gamma power was higher at baseline (trait) in advanced Tibetan Buddhist practitioners, and upon engaging in compassion meditation gamma power increased in magnitude (state) to a very significant degree. The topography of the meditation state effect was located bilaterally over the parieto-temporal and mid-frontal electrodes. The outcomes suggested that increased gamma may be related to a change in the quality of moment-to-moment awareness, as claimed by the meditation practitioners. Further, a reliable association between the estimated total hours in meditative practice and the baseline gamma power was found that implied attention and affective processes are flexible skills which can be trained and that gamma activation may be a marker for these processes. The gamma state effect of meditation in the present study is similar but refers to a different meditative technique with a different topography obtained, although it is of note that we employed a mastoid reference, whereas the previous study employed average reference. A striking similarity in the pattern of results obtained across the studies is seen in the fact that the previous study found higher baseline gamma power in the expert meditator group than the non-meditator group as well as meditation-induced increases in gamma power; similarly, the meditation expertise covariate analysis of the present gamma findings indicated greater baseline occipital gamma power as well as meditation state-induced increases in this activity for the more experienced participants. The previous study employed Tibetan Buddhist/Mahayana meditators practicing a non-referential compassion technique, whereas long-term practitioners of Vipassana as taught within the Theravadan/Hinayana tradition were assessed in the present study. The presently-reported Vipassana technique involves attentional absorption in moment-to-moment subtle sensations of the body concomitant with an attentional stance of non-reactive mindful awareness/open monitoring. A significant commonality across the states assessed by these two studies is the specific inclusion of a mindful/open-monitoring component to the practice. Lutz et al. (2004) asserted that the assessed state was an objectless state of mind, involving a dissipation of the object-oriented aspect of experience. Vipassana practitioners report that they are able to adopt a wide-open awareness during practice that is characterized by a subtle yet rich somatosensory experience (Gunaratana 2002), but whether that experience serves as an “object” of attention is likely experienced differently across such meditators. It may be that the widening of the attentional spotlight involved in these meditational practices correlates with the finding of a gamma state effect rather than an effect on the slower theta or alpha frequencies more commonly reported in the past. It is important to note the well-known artifact from muscles of the scalp, head, and neck that can generate high frequency electrical in the gamma range and to address the possibility that the gamma increases we recorded at the scalp may be muscle related. In addition, significant attention has now been drawn to the fact that microsaccades are significantly associated with increased gamma power (Yuval-Greenberg and Deouell 2009). The multiple analyses conducted utilizing ICA methods to isolate non-brain-related activities such as eye and muscle artifact from the scalp-recorded data were performed to counter this possibility (Jung et al. 2000a). Given that gamma activity artifact from eye movements have been correlated with saccades (Reva and Aftanas 2004; Yuval-Greenberg and Deouell 2009) and microsaccades (Dimigen et al. 2009; Yuval-Greenberg et al. 2008) and that the present subjects were recorded in an eye-closed state, the probability of eye movements contributing to the gamma finding seems unlikely. Nonetheless, this possibility was quantitatively assessed by analyzing the activity of the artifactual independent component clusters that account for the eye-movement activities across the two states. Figure 4 illustrates the results, which indicate that there is no difference in the activities of these independent component clusters between states at frequencies above ~6 Hz including the gamma band. At frequencies below 6 Hz, a small decrease in eye movements in the meditation state relative to control was observed. This outcome implies a tendency toward a decrease in the slow eye movements often observed in eyes-closed conditions during meditation relative to the control task. In sum, eye movements are a very unlikely cause for the measured increased gamma power during meditation. With respect to the more plausible possibility that scalp muscle activity contributed to the increase in parieto-occipital gamma observed, we note first that visual inspection for artifact tended to show decreased muscle- and movement-related artifact in meditation relative to control task. As is routine, increases in phasic muscle tension and movement were observed in a small number of epochs during both states, but more total epochs were removed from the control state data than from the meditation state data at the level of visual epoch-rejection pre-processing (remaining epochs analyzed out of 180 were 170.4 ± 13.8 for the meditation state and 164.1 ± 26.6 for the control state). Muscle-related independent components were empirically assessed as an objective check of the possible contribution of muscle activity to the observed effects. Independent components that resembled the well-known characteristics of muscle activity in terms of focal scalp distribution (often centered at temporal electrodes overlying the temporalis muscle) and featuring relatively high-amplitude high frequency signals were assessed (Fig. 3). No difference in the gamma (or any other frequency) activity of the muscle components was found between meditation and control state. Correlation analyses also were performed on the gamma activity in the muscle-independent components in meditation and rest vs. the scalp-recorded gamma power data. These analyses indicated significant correlation between the rest and meditation muscle IC gamma activations and the gamma activity recorded at midline electrodes, but no correlation with the gamma activity recorded at parieto-occipital electrodes where the significant increase gamma power during meditation was observed. A last line of evidence further bolstering the claim that the observed gamma effect is cortical in origin is that the occipital alpha independent components also exhibited a gamma state effect. The increase in gamma power of the occipital alpha reflected by the independent components during meditation relative to control state suggest that significant gamma activity may be related to the common cortical source shared by each band. The likelihood of muscle-related gamma co-localizing with cortical-generated alpha activity after ICA decomposition is not significant given that the algorithm is a category of blind source separation known to segregate time series signals according to different spatial and causal generators (Comon 1994; Delorme et al. 2007; Hyvärinen and Oja 2000). In summary, we found that the gamma power increases during meditation in our meditator participants were not correlated with increases in scalp muscle or eye-movement-related activity as assessed by independent component analysis and that instead the occipital alpha independent components demonstrated a meditation state effect in the gamma band. Our report is the first to our knowledge that uses these advanced signal-processing techniques to clearly demonstrate that the occipital gamma during meditation effect we observed is not artifactual. It is possible that the sort of “instructed” mind-wandering state experienced by the present meditators was not consistent with the off-task mind-wandering assayed in the literature on mind-wandering to date (Smallwood et al. 2008, 2007; Smallwood and Schooler 2006). Continued assessment of the state effects of meditation require careful consideration of the control task to employ as well as the psychometric tests to use to assess the actual experiences encountered in the control vs. meditation task. With respect to the various “control tasks” that are used to assess meditation effects, the present introspective data regarding drowsiness in relation to meditative expertise may be instructive. Participants with more years of daily meditation practices reported less drowsiness specifically during the control cognitive condition, and not the meditation condition, whereas participants with greater current number of hours of daily practice were specifically less likely to report drowsiness during meditation but not necessarily control conditions. This outcome may imply that the long-term practice of meditation increases the tendency to maintain alertness even during boring tasks (e.g., instructed mind-wandering), whereas the intensity of current practice is more strongly associated with maintaining alertness during meditation itself. Whatever the choice of control task, one of the current challenges in meditation research is to more fully explore the psychometric characterization of the control state, whether that be the no-instructions “resting state” often assessed or a more controlled cognitive engagement state such as mental calculations or the instructed mind-wandering assayed here. This is of special relevance also to the notion that meditative practices change the ongoing experience of the world in a way that may significantly affect the neural “default network” activity mirroring the reported decreases in elaborative and ruminative processing resulting from such practices (Pagnoni et al. 2008; Tei et al. 2009). One limitation of the present study is the lack of a control group of non-meditators, such that possible EEG trait measures were not directly assessed, although the significant covariate indicating that greater length of daily meditation practice was associated with the increased gamma meditation state effect is suggestive. Although it is possible that non-meditators might have shown a similar “meditation” state effect reflected by some aspects of demand characteristics for the two cognitive tasks assayed, the significant covariate relating meditational expertise to increased gamma makes this possibility less likely. The motivation for staying alert may have varied across the two experimental periods due to some sort of “performance” pressure in the meditation period, thereby leading to higher levels of arousal and possibly confounding the results. This outcome also is unlikely given that analysis of the spontaneous EEG data indicated no changes in power for theta and alpha frequencies between the two states, and increased arousal is generally associated with higher P3 amplitudes, whereas the meditation effects demonstrated here include decreased P3a amplitude (Cahn and Polich 2009; Polich 2007; Polich and Kok 1995). Previous findings with this meditator cohort demonstrated decreased engagement of the frontal attentional systems of the brain to auditory distracters during meditation relative to the control period as indexed by decreased frontal N1 and P3a event-related potential (ERP) component amplitude to distracter and decreased P2 amplitudes to oddball stimuli. These findings occurred concomitantly with a marginal increase in N1 amplitudes to the standards and oddballs, implying that the Vipassana meditation state is associated with intact/enhanced sensory processing together with top–down control of elaborative attentional engagement with the contents of awareness (Cahn and Polich 2009). This outcome is consistent with previous reports of early studies suggesting that meditation may produce a state of brain processing less susceptible to stimulus-driven processing as indexed by alpha blocking (Anand et al. 1961a; Kinoshita 1975; Lehrer et al. 1980). It is also consonant with a number of recent reports noting the enhancement of neural signatures of attentional stability and efficiency due to meditation interventions (Lutz et al. 2009; Slagter et al. 2007, 2009). The present finding of increased parieto-occipital gamma activity is similar to our previous report inasmuch as gamma activity is a marker for enhanced sensory awareness. The concomitant increased relative frontal theta power and decreased frontal delta power during meditation further support that this form of meditation involves increased baseline frontal activity with top–down control over frontal attentional capture due to environmental input and concomitantly enhanced sensory perceptivity. This view is in contrast to early definitions of meditation as a form of relaxation or sleep-like state, although it is important to note that the variety of very different meditative practices do include those with a greater similarity to sleep states (e.g., Yoga Nidra), which may be marked by opposite or markedly different findings from those reported here (Cahn and Polich 2006). The current findings emphasize that in highly practiced Vipassana meditation practitioners, the primary effects of meditation state on brain rhythms are centered in the low (delta) and high (gamma) frequency ranges, with moderate relative increase in frontal theta, and gamma effects most pronounced in more advanced practitioners. Given the well-known association of increased slow delta activity during deep sleep and the more recently described decrease in gamma power during sleep (Cantero and Atienza 2005; Cantero et al. 2004; Maloney et al. 1997), the overall picture can be interpreted as a state of enhanced “awakeness.” Further, alpha power does not reliably differentiate between meditation and control state in advanced Vipassana practitioners but instead tends to vary inversely with drowsiness. 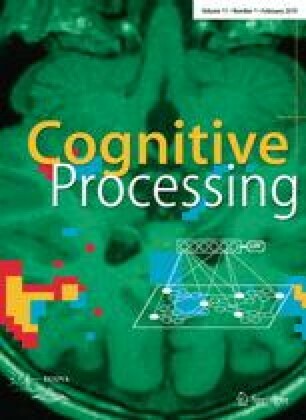 Mindfulness/open-monitoring practices that involve the widening of the attentional spotlight to present-moment sensory experiences may be characterized by a mode of frontal engagement mediating enhanced stimulus representation and clarity of awareness (spontaneous gamma, evoked N1) and concomitant decreased cognitive elaboration upon stimuli in the environment (evoked P2, P3a). In contrast, practices involving the narrowing of the attentional spotlight such as mantra and breath-focused attention practices may likely be characterized by greater frontal midline theta engagement and less enhanced measures of stimulus representation, a hypothesis requiring further specific study of these two forms of practice using the same protocol across groups. Appreciation for the variety of mental practices subsumed by the name “meditation” has recently become a salient research topic, as observation of the various types of attentional engagement across meditative practices may promote different neurophysiologic outcomes (Cahn and Polich 2006; Depraz et al. 2003; Dunn et al. 1999; Lehmann et al. 2001; Lutz et al. 2004, 2008). Assessment of this group of Vipassana meditators has previously demonstrated decreased frontal engagement in the processing of unexpected and aversive stimuli during meditation in the setting of a trend toward enhanced sensory representation of the standard and oddball stimuli as indexed by increased N1 amplitudes. The present findings are that of enhanced frontal engagement as indexed by decreased frontal delta power and relative increase in the frontal component of theta activity and a broad increase in parieto-occipital gamma activity during the meditative state prior to the onset of the tones used to elicit the findings in our earlier study. No other frequency bands reliably distinguished the two states. It is theoretically plausible that the enhanced gamma activity observed in this dataset is related to the iterative body scanning aspect of the technique. Alternatively, this widespread posterior increase in gamma power may be more generally related to the enhanced perceptual clarity often reported in open-monitoring meditative states. Further studies contrasting this meditative practice with focused attention practices such as those involving breath awareness, mantra, and/or visualization would provide significant insight into the specificity of the delta, theta and gamma effects seen in these practitioners. An initial hypothesis would be that the focused attention practices might engage the frontal theta activity to a greater degree than open-monitoring practices such as Vipassana and less engagement of the gamma activity seen here. An alternative would be to observe more localized gamma increases to the cortical areas representing the object of attention. Of importance also for the development of the field is the relation between these meditation state changes in the brain and experiential qualities that must be assessed with improved psychometric analyses. This work was supported by NIH grants DA018262 and AA006420, The Fetzer Institute, the NIH Medical Scientist Training Grant T32 GM07198, and the NIH Postdoctoral grant T32 MH019934 grant in part supported BRC, who is also affiliated with the Laboratory for Psychopharmacology and Brain Imaging, University of Zurich Hospital of Psychiatry. The help and guidance of Drs. Mark Geyer and Franz Vollenweider are gratefully acknowledged. We thank the meditator participants and Mr. John Beary of Vipassana Research International for assistance in recruiting meditation participants. This paper is xxxxxx from The Scripps Research Institute.